If you ever wanted to own a valuable piece of golf history with John Daly's name attached to it, now is your chance. Heritage Auctions is selling the Claret Jug Daly won at the 1995 British Open at St. Andrews. It was Daly's second major title, which he won by beating Costantino Rocca in a playoff. If this all sounds a little too familiar, that's because it is. Green Jacket Auctions tried to sell this exact Jug in 2016, but the item was removed when Daly hopped on Twitter to clarify that he still had it in his possession. Heritage Auctions wrote in a recent post that "there is no ownership controversy today, and that this is indeed the one and only Daly Claret Jug available to the collecting public." 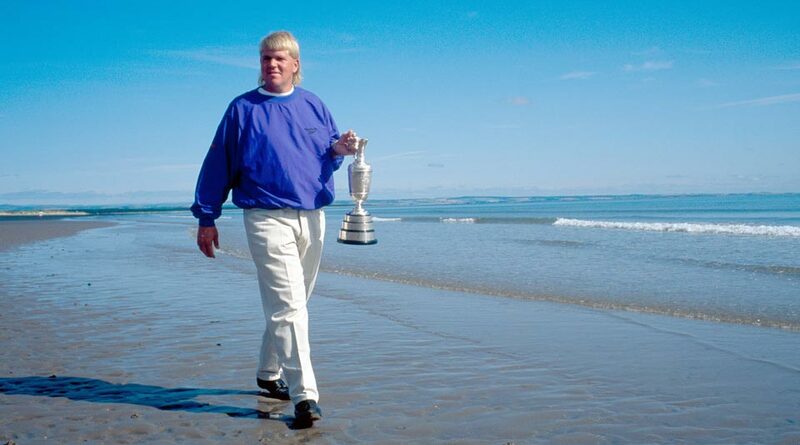 Valued at more than $100,000 by Heritage Auctions, the current bid for Daly's jug is $28,000. Bidding ends Feb. 24.